Enter a player username or legacy name to see profile. Karsten Rutledge is the creator behind K.R. Engineering and Gaming.SL, selling a wide variety of board, dice, and card games. Karsten has been creating content in Second Life since 2005. Player profile images are sourced directly from the individual player's Second Life profile. The content that appears in the player profile image and player "About" section are the responsibility of the individual player. K.R. 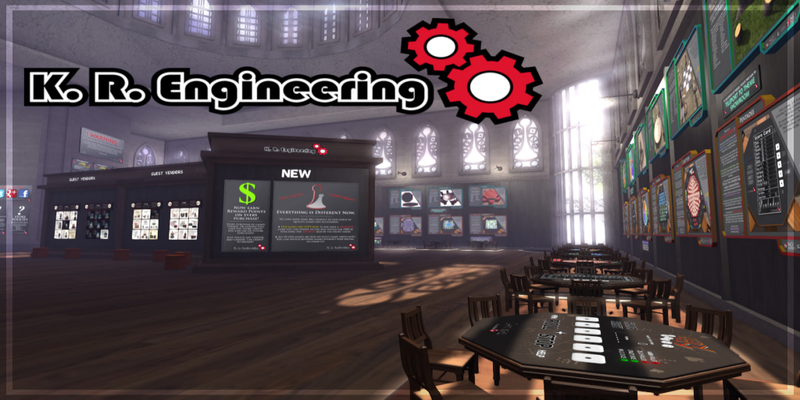 Engineering and Gaming.SL expressly do NOT endorse or condone any content found therein, unless the official Gaming.SL contributor badge is displayed (a star in the lower right corner of "About" section).